This is part of an on-going series about our Florida “Adventure Days”. 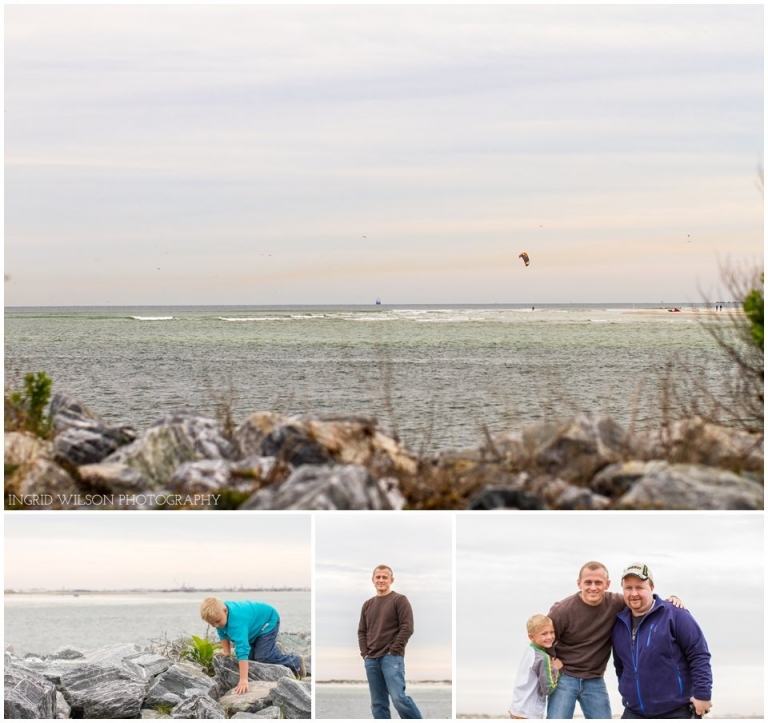 Here I will share what we like to do as a family throughout our great state, primarily North Florida. I want to share with you all of the fun that is available to be had right here in the Sunshine State. I will tell you some of the pros and cons of the places we have visited and offer a few adventure tips along the way. I promise to keep it real and share the bad with the good so that you can learn from some of our mistakes. My kids will even share their thoughts about their favorite thing from each outing. I hope that this series will encourage you to get out and do some exploring too. I would also love to hear about any of your adventures! Share where you have been and tell us where we should go next. Last February we opened our Adventure season a little early. The weather was still a little chilly for our Florida blood, but my cousin, Raymond, was visiting all the way from Norway and we wanted to show him some of our beautiful state. 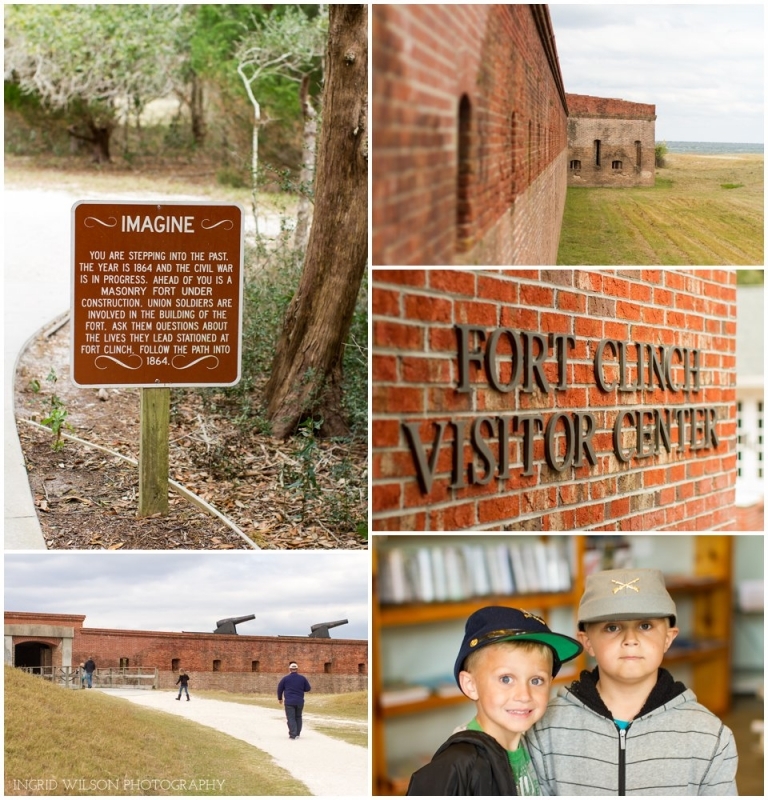 We decided to head to Fort Clinch, but we made several stops along the way to enjoy the views. First we stopped to overlook Huguenout Memorial Park (above). 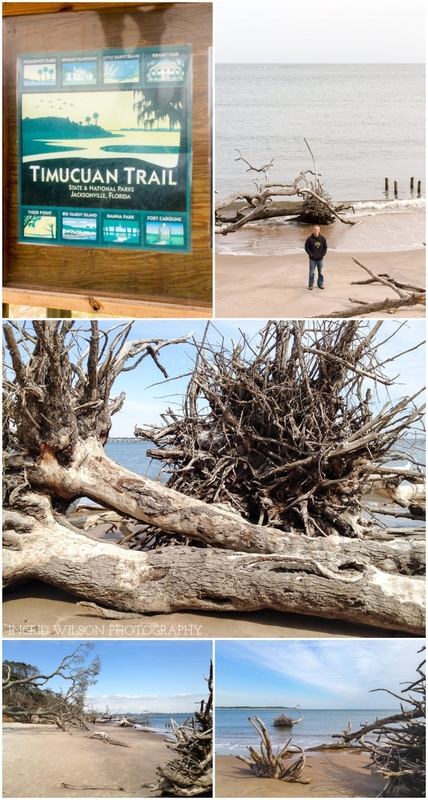 Then we stopped and explored Big Talbot Island. 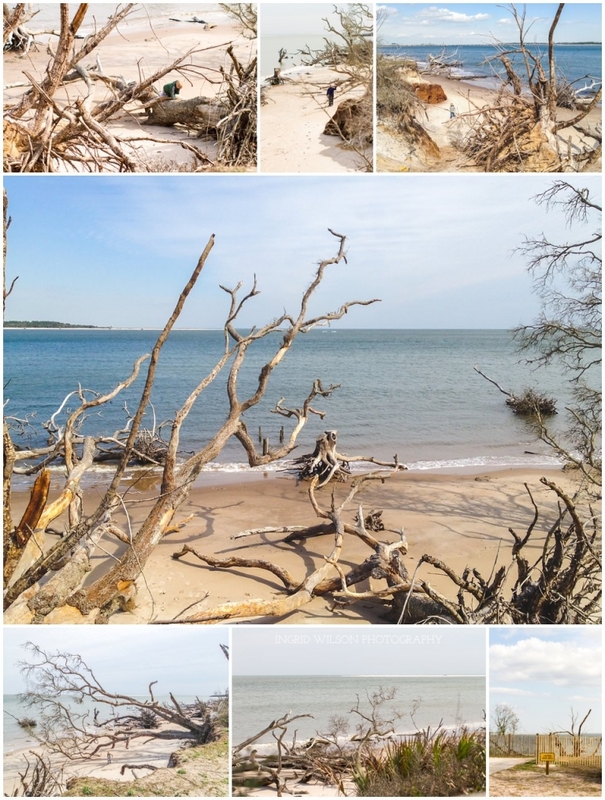 While the boys explored the beach and the driftwood, Mylie preferred exploring the trail. I followed her for quite a while and then the boys came to find us. We didn’t take advantage of the picnic area during this adventure, but we were grateful for the port-a-potty. Next stop: Fort Clinch. Note: There is a $6 vehicle fee to enter the grounds and then another $2 fee per person to enter the fort itself. This was my first visit to the fort. I was impressed immediately by the beautiful visitor center and I loved the greeting sign that set the stage for our adventure. The grounds are buildings were beautiful. The wind was strong and light rain began to fall, so it was especially nice to find warm fires burning in a couple of them. Looking back, it was probably the perfect time of year to visit. There were a few other visitors, but it almost felt as though we had the whole fort to ourselves. There were so many neat nooks and crannies to explore and photograph. I enjoyed taking my time and capturing of all of the historical details, while the boys enjoyed running ahead climbing on everything. And a rarity: I stepped in front of the camera for once! Isn’t this flag beautiful? I love the unique shape. I tried to research to find out what the “3” stands for, but I found no record of an official flag like this one. Can anyone else tell me more? It was about this time in our adventure that we lost Mylie. She snuck off and had us all searching the grounds frantically. We found her safe and sound, thankfully, but I definitely felt a few more gray hairs spring up. In the meantime, the boys happened upon this amazing blacksmith at work demonstrating how to make “horse shoes”, only these “shoes” were actually how soldiers reinforced their own shoes to make them last longer. I missed most of the oration while I was looking for Mylie, so I didn’t hear all of the details that he shared with the boys so Jack is going to chime in with what he learned. It was awesome that the boys got to have this hands-on experience. They were completely fascinated. I’m not sure if this demonstration happens every weekend, but it made the visit for us. I loved all the treasures we found this day, but even more I loved that we were able to share it with our cousin all the way from Norway. Such sweet memories could only be followed by sweet treats. We finished the day in historic Fernandina for dinner and then dessert. What better than cold ice cream on such a cold day?! I opted for the hot chocolate, which was AMAZING!